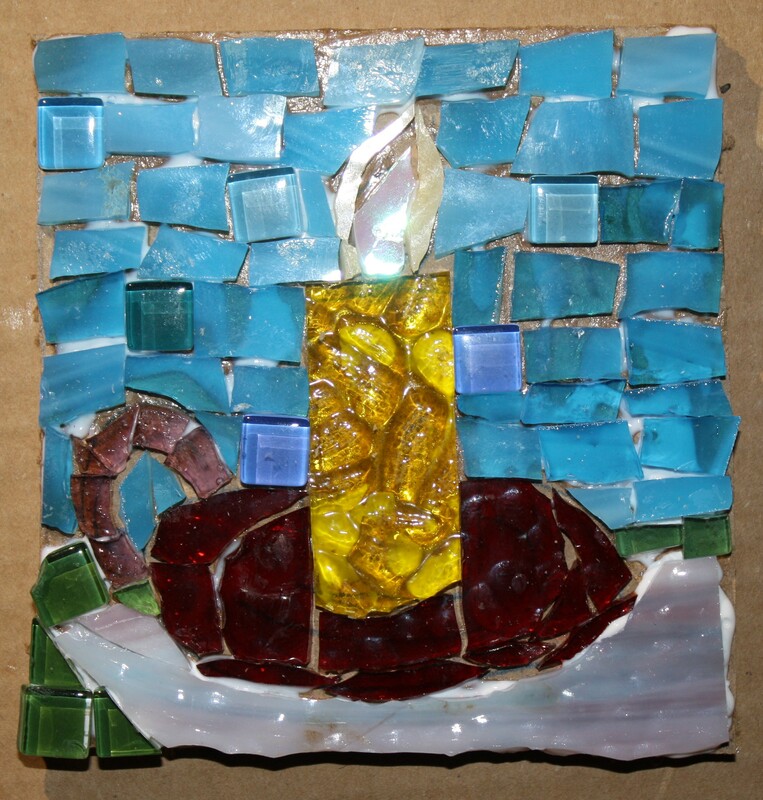 My niece asked me to make a mosaic with a candle in it tonight. I’m not sure this is exactly what she had in mind. It was fun to use a subject that didn’t come from me. I tried to do something my niece would like but also used my imagination to create a design that I like.